The SciShow offers an interesting perspective on conductive plastics. Hank Green explains how the advent of conductive plastics has changed technology, with companies producing cheaper electronics. Before the 2000s, conductive plastics were virtually unheard of. The recycle bin fodder was only utilized as an insulator to protect electricians from any fatal electric shocks until 1974, when a scientist stumbled upon a plastic that could conduct electricity. SciShow’s Hank Green explains the birth of conductive plastics and the inner scientific machinations of a new form of plastic. He highlights the particular properties of the plastic that enable its conductivity while also talking about other methods used today to conduct electricity. These advances have spilled over into consumer technology. A conductive plastic called PEDOT protects electronics from static electricity by dispersing the charge. Through these methods, scientists have created the innovations needed to print electronics on inkjet printers. Companies are transforming heavy, expensive silicon solar panels to more affordable and lightweight options. The problem with using plastics for solar panels is that they’re not as efficient as the silicon ones, at least not yet. Even so, scientists predict that one day we will have solar cells printed on almost everything, and conductive plastic could change how we think about our electronics. Many parts of China are actually known for their fine cuisine, but its food industry has taken a lot of heat lately for its troubling lack of standards. This country is using their innovative methods that they use to make cheap technology products, toys and other consumer products and applying that mindset to food, which is absolutely dangerous. Tilapia fish is commonly farmed in China. This is the worst kind of fish you can find on the shelves on the market. Tilapia fish eats almost anything and it is usually farmed in pools full of waste water. 80% of the Tilapia in America comes from China. Cod is another type of fish that is fish farmed in China. More than 50 percent of tilapia fish in the USA comes from this country. More than 50% of the apple juice in the US originates from China. China is known to be the country that creates the greatest number of pesticides in the world, and it is not put on the labels. Avoid buying this juice and drink only natural, homemade juice bought from a local farm. Considering the fact that 34 percent of the mushrooms in the USA come from China, be very careful when you buy this product. Do your best to know your source, buy local and true organic. 31% of Garlic sold in the US is from China. Toxic garlic has been found to be overwhelmed with chemicals and that is what it gives it its bad aftertaste. China is a country that produces more pesticides than any other country in the world, which is also pretty much polluted, and thus the quality of the chicken should be questioned really well. It is believed that it is made from potatoes and a fake sythetic resin. When boiled the rice stays hard and doesn’t cook like regular rice. Consuming this rice for longer time can have serious consequences to your health. Some manufacturers in China have been collecting mud and selling it as black pepper and also took flour and sold it as white pepper. The industrial salt is not made for consumption, and despite this, it is still being sold as table salt for some time. The consequences of this industrial salt consumption are issues with the physical and the mental health, as well as with the thyroid. China has been exporting fake green peas. These peas have been made of soy beans, snow peas, green color and sodium metabisulfite. The green color is cancerous and when boiled, paint the water unnaturally green. Plastic is probably the most dangerous thing man has invented. It ranks right next to nuclear weapons. Plastic accumulates in the environment and adversely affects wildlife, natural habitat and is quite dangerous for humans. The fact that it isn’t biodegradable is what makes it worse. “EVERY single piece of plastic that has ever been created since the 19th century is still SOMEWHERE on our planet. So if it never goes away, where does it go?” — this is the startling idea behind the eye-opening documentary, Plastic Paradise. Plastic is difficult to escape. Simply walk through your local supermarket and take in the sheer number of products housed in plastic. We feel we do our part for the planet by recycling. But do we? According to the documentary, recycling is a bit of a misnomer because only two types of plastic are widely recyclable — and even then, it’s downgraded into other products which cannot be recycled further. It’s a one time deal. The next step for these items is the landfill — or worse, the ocean, where plastic seriously harms wildlife, the ecosystem and eventually, our health. The documentary opens with a shot of dead birds on a plastic-laden beach. The point is graphically driven home that we are in terrible danger of completely destroying the ocean and life within. The beach in question belongs to Midway Atoll, an island halfway between the west coast of the U.S. and the eastern side of Japan. What makes the island special is that a good portion of marine debris (consisting of 90% plastic) accumulates on Midway due to the whirlpool effect of Pacific currents. It’s similar to a canary in the coal mine, alerting us to grave ecological imbalance. On this single island, adult albatross birds bring in five tons of plastic each year to unwittingly feed to their chicks, believing it to be food. Midway is home to 70% of the world’s Laysan Albatross population and a major breeding ground. Needless to say, the birds are in serious trouble with a high death rate due to their diet of plastic. Birds aren’t the only animals harmed by the material, all marine life is affected — including the coral reefs, which are destroyed by tumbleweed-like discarded nylon fishing nets that become entangled in the coral, breaking off pieces as the mass is pulled along by the current. Fish, seals, dolphins, whales, sea turtles — you name it and plastic has killed any number. It’s slowly killing us too. By now, most of us are aware of bisphenol A (BPA) and the devastating effects this plastic additive has on the human endocrine system. It has been linked to a number of disorders, from cancer to diabetes, infertility and obesity. It was developed in 1936 as a form of birth control due to its estrogenic activity, but BPA wasn’t strong enough for the job. As industry can never let a synthetic chemical go to waste, a new purpose for BPA was found by adding it to polycarbonate plastics beginning in the early 1950s. It took nearly sixty years before the dangers of BPA were known to the public. It’s estimated that 93% of Americans have BPA within their bodies. But plastic also contains DDT and PCB — two extremely toxic chemicals. The health effects of DDT include cancer, male infertility, miscarriages and low birth weight, developmental delay, nervous system and liver damage. PCBs also contribute to cancer and cause disorders of the immune, reproductive, nervous and endocrine systems. All three toxins leach into the ocean as the plastic breaks down. 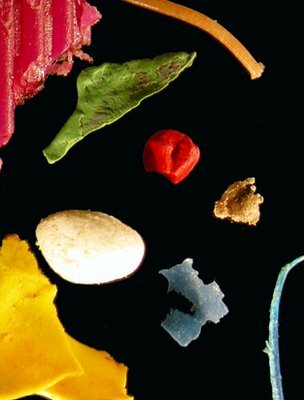 Fish also eat these irresistible plastic bits and the toxins eventually lodge in their tissues. Invariably, these poisons end up on our dinner plates. We might ask how we arrived at this point, with plastics such an unavoidable — and dangerous — material in our lives? During World War II, raw materials were in short supply and we needed a resilient, economical and easily manufactured substitute. Plastic to the rescue! Made from readily available petroleum, plastic was the go-to material for the war machine. It was also a boon for oil companies as they had an entirely new market to tap — from 20 million pounds in 1927 to 650 million pounds by 1943. That’s a 3,000% increase in just a few short years. Today, the U.S. is expected to produce a staggering 115 billion pounds this year alone. Here’s the catch: every piece of plastic that was ever made is still with us today as it was designed to last — and it does, for hundreds of years. The ecosystem and our health are choked by it. What will the planet look like in the not so distant future with the ever increasing influx of this hardwearing material? It’s a sobering thought and one that doesn’t have an easy answer. Watch Plastic Paradise and take action. Spread the word about the dangers of plastic to family and friends, the community at large and your government officials. Local library screenings of the film are a great way to reach the public. Or hand out reusable grocery bags with a card explaining the dangers of plastic. Ask the recipient to pay it forward by educating others and giving away bags of their own. Reject single use plastic bags, food containers and bottles. It’s easy to keep reusable bags for groceries and produce stashed in your purse, pocket or car for shopping trips. Stainless steel or glass water bottles and mugs are also a simple alternative to plastic and styrofoam disposables, as are stainless steel food containers. Rethink shampoo, dish and laundry soap. The ideal is to find a store where you can bring your own glass or metal containers to refill with dish and laundry soap, along with shampoo. You can also make your own by using raw materials that come in biodegradable packaging. Not only will you help save the environment and your health, but also hard earned cash too. Petition your favorite brands to favor biodegradable packaging. An excellent alternative to petroleum based plastic is hemp plastic. It’s exceptionally strong, versatile and biodegradable. In fact, many automotive companies already utilize hemp plastic panels in their cars because of its strength and durability. Contact your local stores and educate them about the damaging effects of plastic. Ask that they adopt a zero waste model like this market in Germany. Alternatively, encourage grocery stores to use biodegradable food packaging and bags. Avoid synthetic fabrics and opt for hemp, wool, cotton or silk instead. If you must have that polar fleece jacket (or whatever synthetic fabric it may be), participate in the North Face “Clothes the Loop” up-cycling program when the article of clothing has run its course. Swap out plastic wrap and bags. Beeswax coated fabric is a fun and natural plastic alternative. It clings to bowls and dishes and can be folded around sandwiches and the like for portability. My Green Family offers an easy tutorial on how to make your own beeswax and cotton wrap. If you’re anything like me, you have a good amount of vitamins and herbs squirreled away in your cabinet. Look for brands that aren’t housed in plastic. Udo’s Choice is one company that comes to mind that uses biodegradable glass with metal caps. Don’t purchase or eat canned food. While the outer can is generally eco-friendly, the inside is most likely lined with plastic. Many companies have adopted BPA-free liners, which is a step in the right direction, but it’s not enough. If you have children, choose natural toys. There’s a great selection of wooden, fabric and cardboard toys available which won’t harm the environment or your child. Better yet, tap into your creativity and create unique playthings from your recyclables. Sites like Pinterest have many wonderful ideas on how to make eco-friendly, waste-free toys. Lastly, one of the best methods for reducing plastic consumption is to be mindful that plastic never really disappears and creates tremendous damage to ourselves and the environement. Voting with our dollars and avoiding plastic products sends a strong message to industry that we won’t tolerate the trashing of the planet, wildlife or our health. Tiny pieces of plastic and man-made fibres are causing contamination of the world’s oceans and beaches, the journal Science has reported. To test whether this contamination was getting worse, the scientists analysed plankton samples taken from survey ships between Scotland and Iceland since the 1960s – and found that the plastic content had increased significantly over time. The lead author of the study, Dr Richard Thompson, said: “Given the durability of plastics and the disposable nature of many plastic items, this type of contamination is likely to increase. That research is for the future, but this study suggests that practically everything really is made of plastic these days – even the oceans. “We’ve found this microscopic plastic material at all of the sites we’ve examined,” Dr Thompson said. Tiny particles of waste plastic that are ingested by shoreline “eco-engineer” worms may be negatively affecting biodiversity, a study says. So-called microplastics may be able to transfer toxic pollutants and chemicals into the guts of lugworms, reducing the animals’ functions. An estimated 150 million tonnes vanishes from the global waste-stream each year. The findings have been published in the academic journal Current Biology. “We are losing a large volume of plastic and we know it is going into the environment and the assumption being made by policymakers is that this material is non-hazardous, it has got the same ranking as scraps of food,” explained co-author Mark Browne, an ecologist from the US-based National Center for Ecological Analysis and Synthesis. “The research we have done really challenges that,” Dr Browne added, referring to the findings of lab work carried out by colleagues at Plymouth University, UK, led by co-author Prof Richard Thompson. 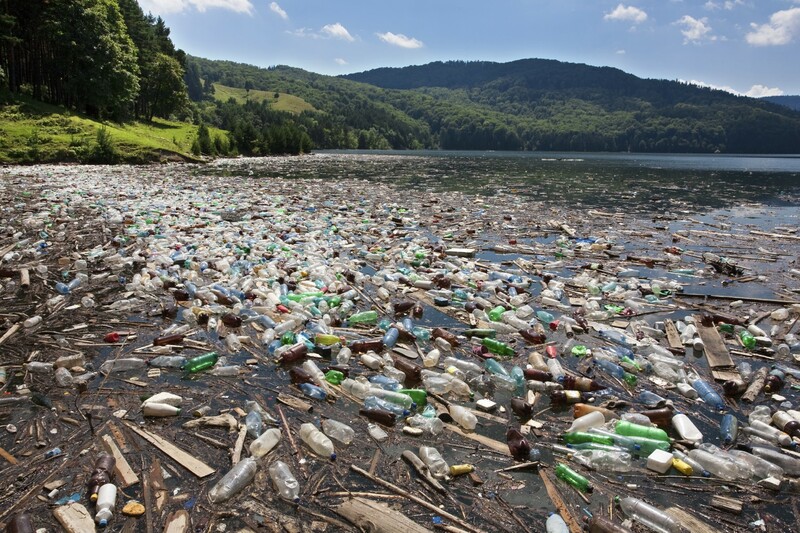 “Our findings show that the plastic itself can be a problem and can affect organisms. The team found that the tiny bits of plastic, which measure 1mm or smaller, transferred pollutants and additive chemicals – such as flame-retardants – into the guts of lugworms (Arenicola marina). This process results in the chemical reaching the creatures’ tissue, causing a range of biological effects such as thermal stress and the inability to consume as much sediment. 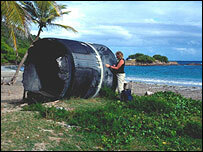 Dr Browne explained that this had consequences for the surrounding ecosystem. “If the animals are not able to eat as much then there is a change in the function of the organisms and there is an impact on the semblance of the species found in an area,” he said. He added that the worms had earned the nickname “eco-engineers” as a result of their ability to eat organic matter from the sediment and prevent the build-up of silt. “Through that process, it produces burrows and changes the whole assemblage of animals that live around it,” Dr Browne observed. He told BBC News that it was the first study of its kind to highlight the toxic risk posed by microplastics to marine organisms. “For about 40 or 50 years, we have been finding very large concentrations of chemicals in animals. Then they started to find animals with larger concentrations of pollutants and plastics, so researchers began to establish this correlation. The Dangers of Using Plastic Water Bottles..
Bottled water in your car is very dangerous. People should not drink bottled water that has been left in a car. 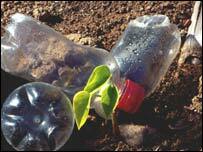 The heat reacts with the chemicals in the plastic of the bottle which releases dioxin into the water. Dioxin is a toxin increasingly found in breast cancer tissue. So please be careful and do not drink bottled water that has been left in a car. Use a stainless steel canteen or a glass bottle instead of plastic. This especially applies to foods that contain fat. The combination of fat, high heat and plastic releases dioxin into the food. A while ago some of the fast food restaurants moved away from the styrene foam containers to paper. The dioxin problem is one of the reasons…. Plastic wrap, such as Cling film, is just as dangerous when placed over foods to be cooked in the microwave. As the food is nuked, the high heat causes poisonous toxins to actually melt out of the plastic wrap and drip into the food. Cover food with a paper towel instead. Why China isn’t taking American trash anymore. Quick, what’s the biggest U.S. export to China? Officially, yes, it’s the biggest single product. But combined, the U.S. exports more scrap and waste to China than any other single product — $11.31 billion in 2011. Growth of waste exports has been quick and steep. In 1997, only $182 million worth of waste went to China. But expect that growth to come to a screeching halt. [H]ints are emerging that American cities and the companies that sell trash are in for a rude awakening. A recent sign of this comes from Oregon, where truckloads of plastic are piling up at recycling depots because Chinese buyers cancelled their orders, as Oregon Public Broadcasting reports. It’s hitting the recycling industry especially hard. Global shipments of recovered paper to China are down 18.4 percent. And prices for recovered materials are dropping. So happens next? One industry source says the initiative will end in November. But for now, other countries could take what the U.S. currently ships to China. Vietnam is a potential source. In the short term it could mean a lot of plastics just end up in the landfill. But in the long term it could lead to more innovation in the industry. For now, it’s just a mess.